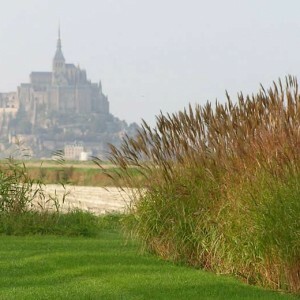 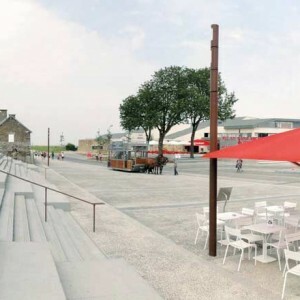 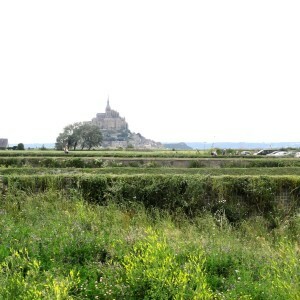 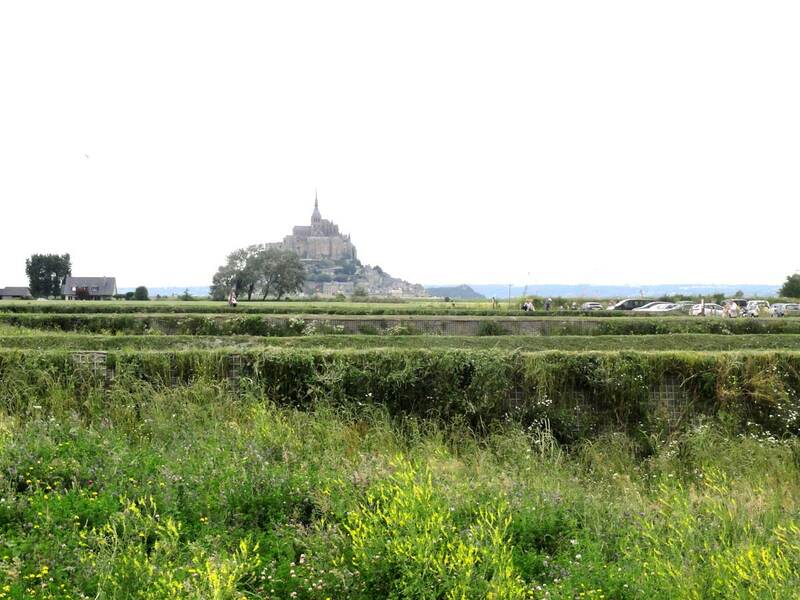 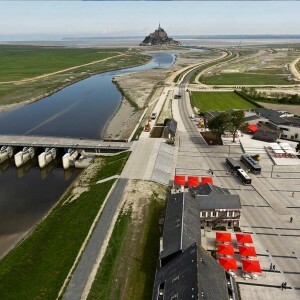 HYL: In the context of restoration of the Mont Saint-Michel’s maritime character, public spaces of « La Caserne » are subject to several operations aiming to redefine access to the site. 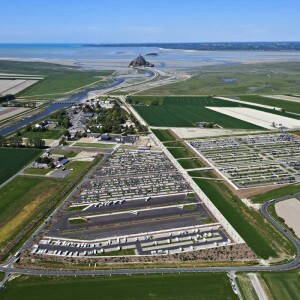 In an effort to eliminate the parking lots currently encumbering the area around Mont Saint-Michel, the 4000+ parking spaces of this project are designed to receive visitors upstream of the future footbridge and away from the coastline. 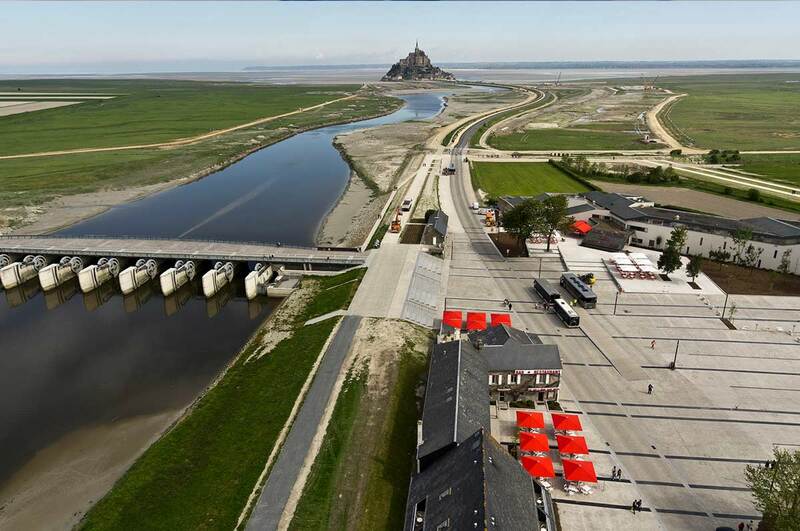 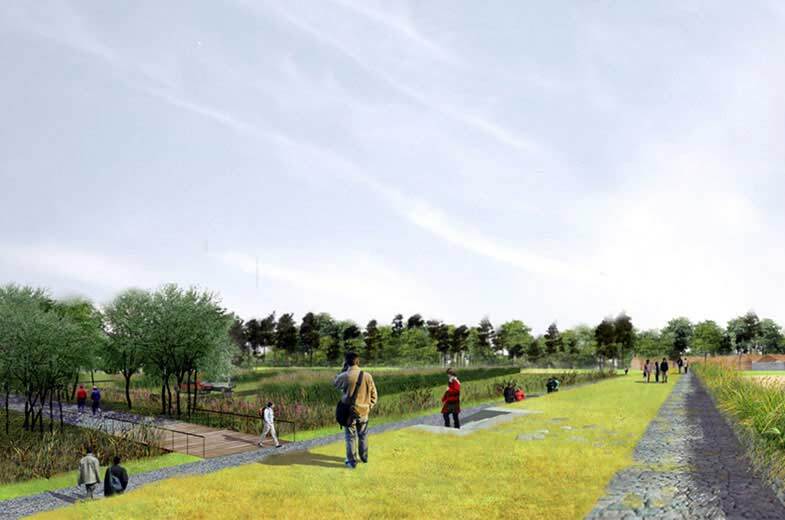 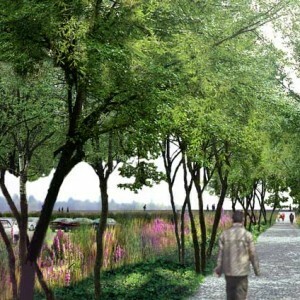 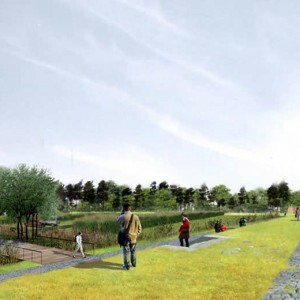 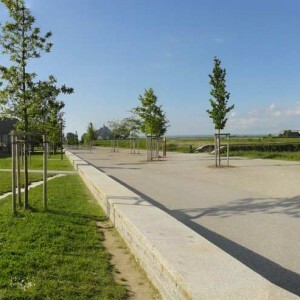 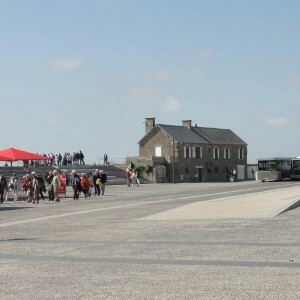 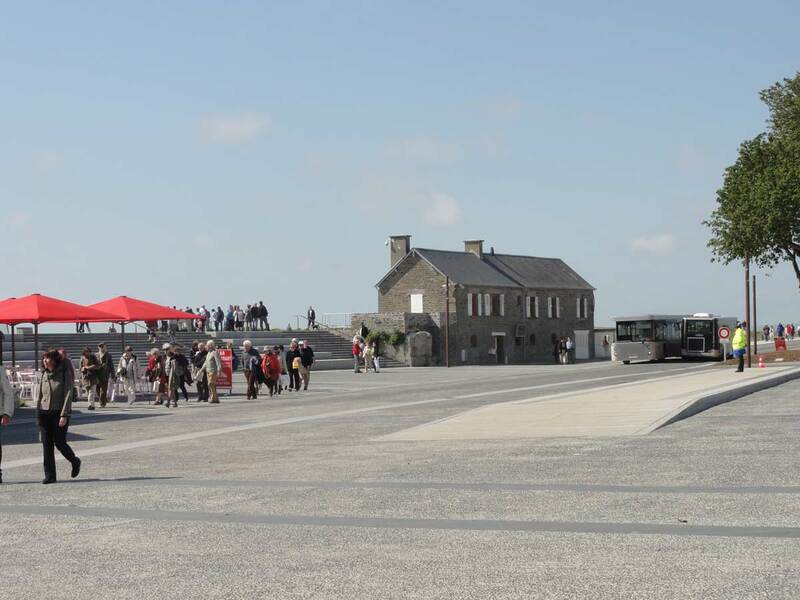 In addition to its prime function as a parking lot, the project includes a visitor center to inform and guide users to the different means of access to Mont St. Michel, either on shuttle buses or along walking paths. 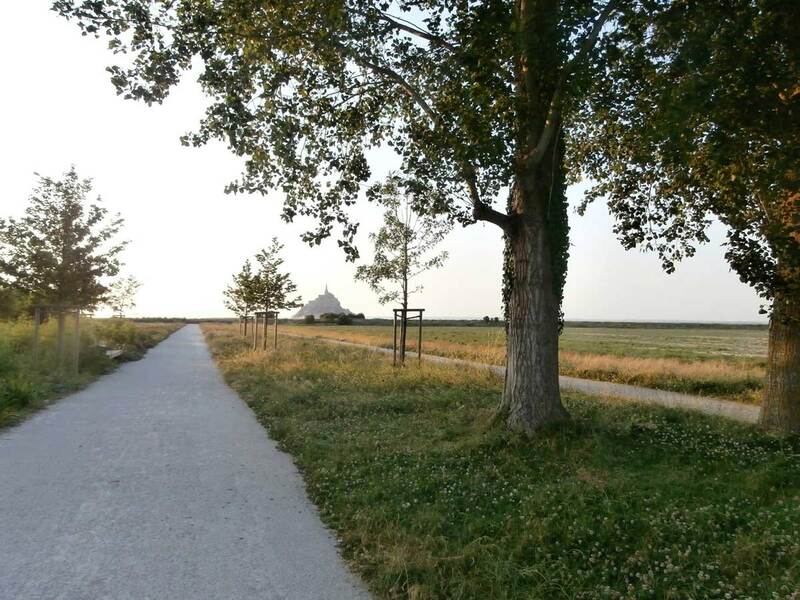 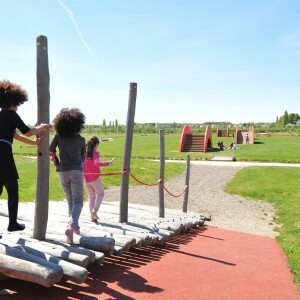 Within the horizontal span of the polder and a low-lying area of reclaimed land protected by dykes, the project integrates into the site by mimicking and drawing attention to the natural landscapes. 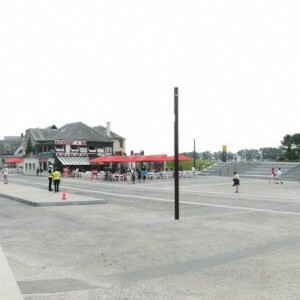 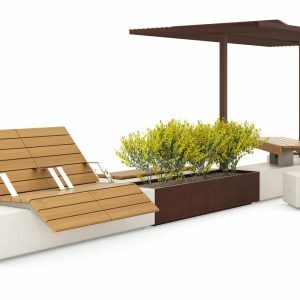 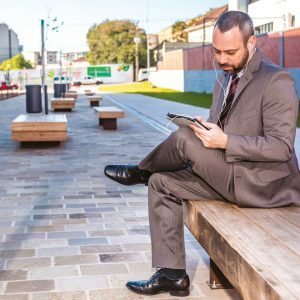 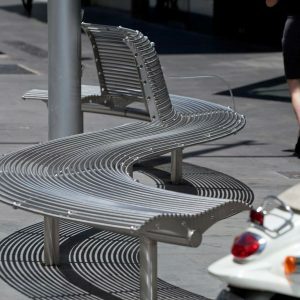 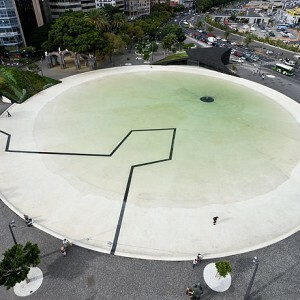 The project breaks down the vast space into three separate lots crossed by three lanes that connect the parking spaces to the shuttle buses plaza. 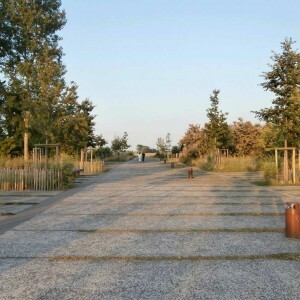 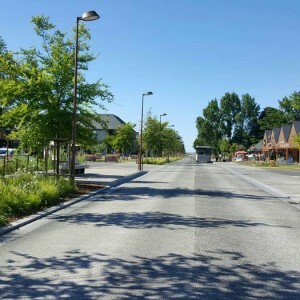 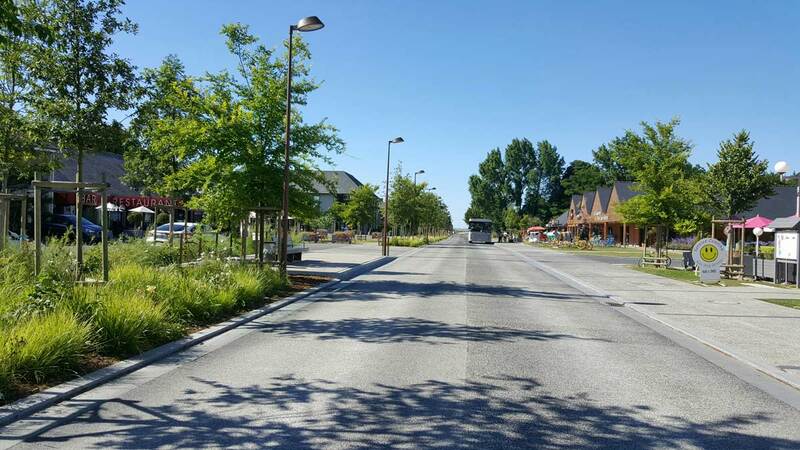 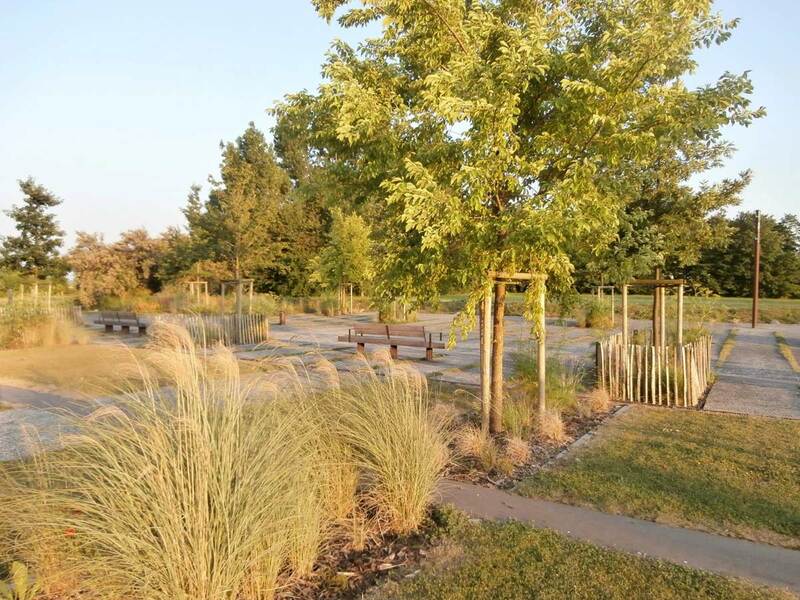 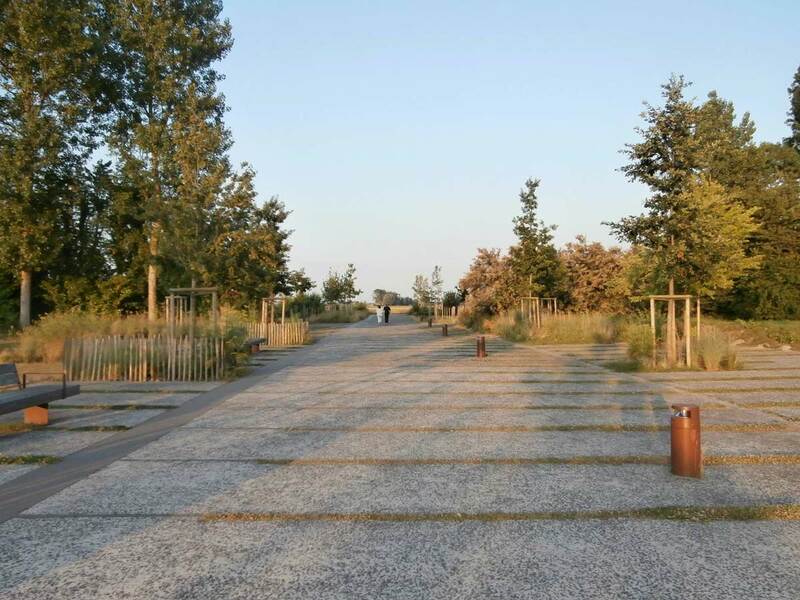 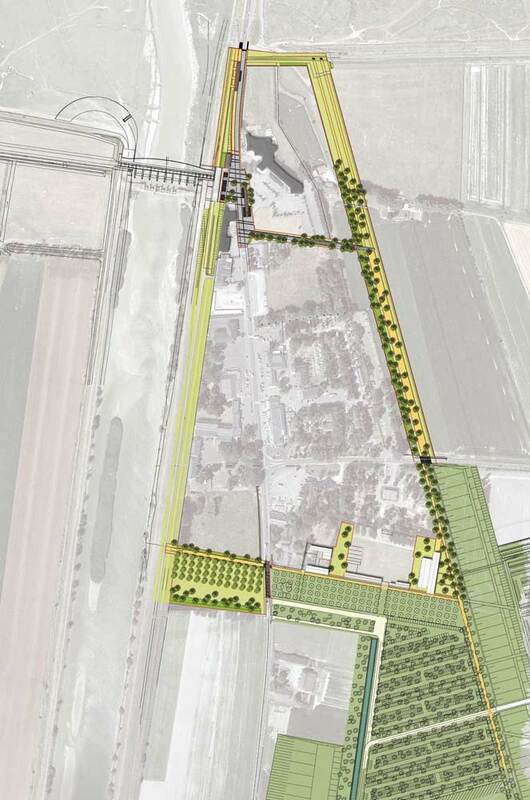 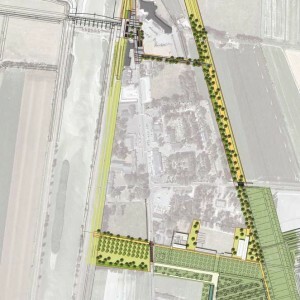 In the center, the woodland long-term parking lot is developed as an extension of the tree clumps of « Hameau de la Caserne ». 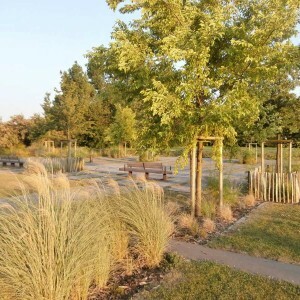 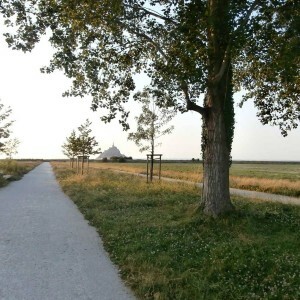 To the east, the fast turnover polder parking lot is enclosed within the banks and the dykes between bands of ornamental grasses. 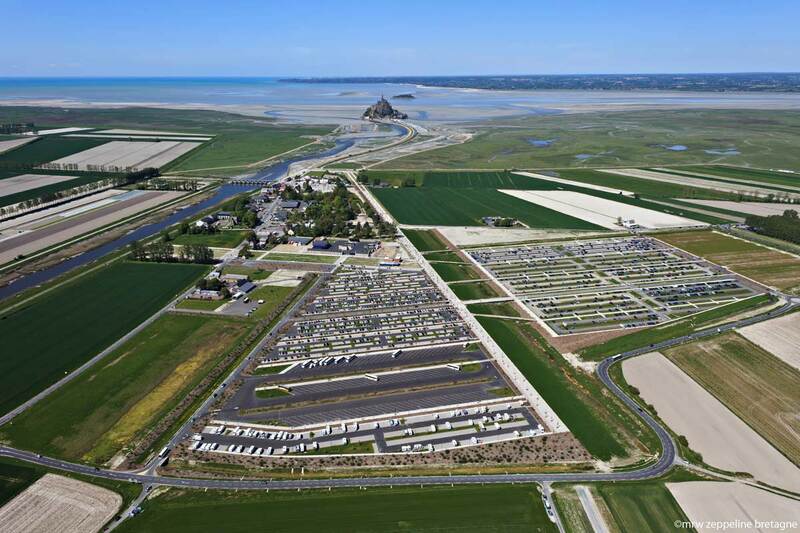 To the west, the poplar tree lot which provides parking for coaches and recreational vehicles at the height of the tourist season, gives view to the marine horizon. 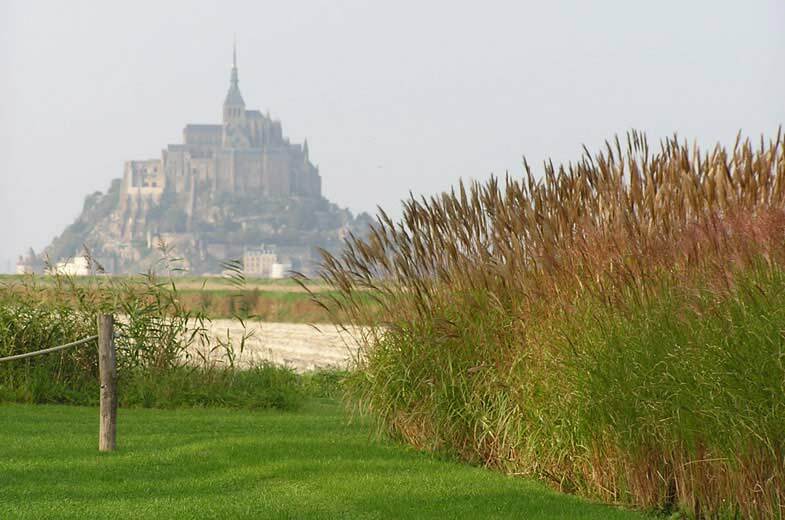 At the confluence of these differing locations, the vast stretch of white marshlands preserves the open horizon, affording a splendid view of Mont Saint-Michel.